A mixture of Wild leaves, flowers, herbs, roots, seeds, shoots and fruits. Our TOP7 spans a wide season, with at least one thing always in season from January through to November. You can collect the “four F's” from any land (even private land - but be aware of trespassing), providing you do not prevent someone else's commercial gain, or you do not create your own commercial gain from the foraged wild plants. The four 'F's' are Fruit, Flowers, Foliage and Fungi. You are not allowed to uproot any whole plant without the land owner’s permission, and you must obey and be vigilant for any signs near the entrances with site specific rules. Great as a spicy addition to salads, in sandwiches or chopped finely and sprinkled on fresh sushi. Beautiful bush/small tree with rough bark, opposite paired oval leaves and a wonderful perfumed floral scented flower heads in abundance in May and June. Very easy to identify, very common and makes for a superb foraged treat, especially for drinks. Think cordials (can be made into lollipops), wines and champagnes. Also look out for the Jelly Ear fungus Auricularia auricula-judae, grows almost exclusively on dead Elder branches, looks like a real ear and has a strange crunchy texture that is popular in Chinese cuisine. A tall roadside plant, in the Carrot family with green stems, yellow umbel flower heads and distinctive lobed leaves. 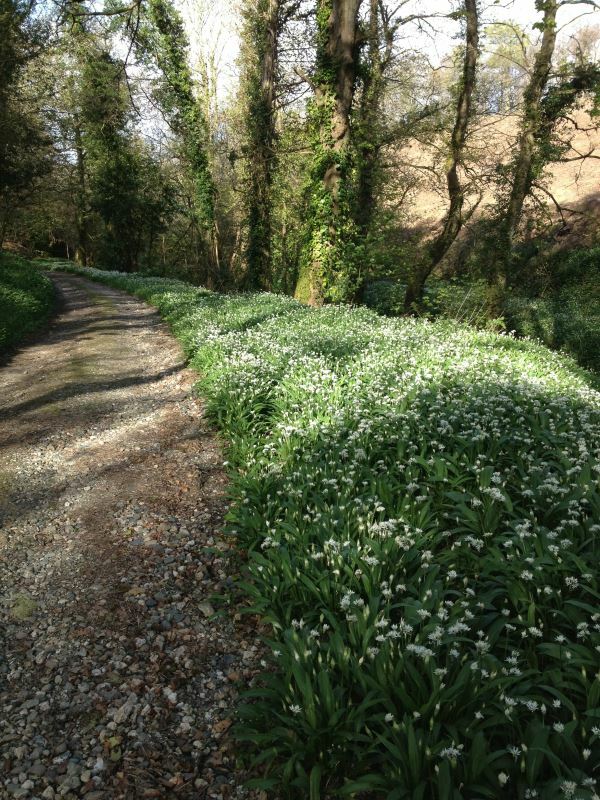 It is one of the first annual plants of the year to emerge and the flavour is strongly aromatic and perfumed like strong celery. Best eaten before Easter and the stems can be cooked as a vegetable, candied to make lasting sweet treats, young flower buds cooked like broccoli or an interesting flavoured drink in the shape of Alexanders Vodka. A common roadside and waste ground plant. It is quick to colonise disturbed ground and the large, oval, very deep green coloured leaf with serrated edge indicates where to find the underground root source. Remember it is illegal to uproot any whole plant without the landowner’s permission. Can superficially be confused with Common Dock, but Dock usually has red blotches, not so much a serrated edge and no horseradish smell about it when crushed. Not a dangerous mistake to make if you do, just don't expect to find any usable root! Grated and mixed with sour cream, a little mustard powder and seasoning and you have your very own sauce for roast beef. Extremely common around ditches, rivers and lakes this distinctive little plant has a very square profile to its stem. Paired opposite leaves, a tinge of purple about it and wait for it, a lovely herby minty smell when crushed – unmistakable! 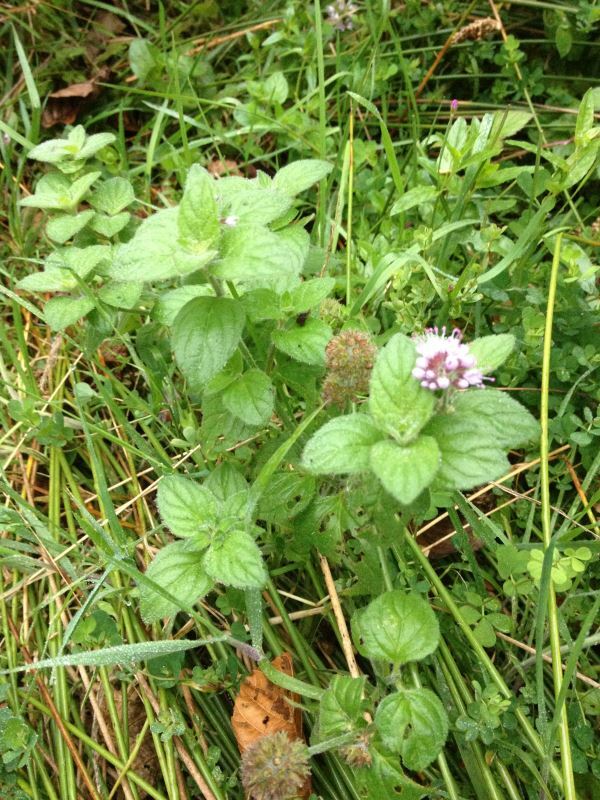 Of all the Wild mints, this is the most common and all are hugely versatile in drinks, sauces, salads and desserts and two if the best are Water mint sorbet and in Salsa Verde, traditionally Parsley, Mint and Basil blended with olive oil, garlic, seasoning and vinegar. In Greek mythology, Minthe is the mistress of Hades, King of the Underworld. Hades wife, Persephone found out and cast a spell turning Minthe into a lowly weed to be trampled upon. Hades interjected and added a sweet perfume to the spell so when trampled upon the divine scent would remind him of the love they shared. Makes a great addition to salads, a shredded garnish, wild garlic pesto, stuffing, the list is endless. Very versatile, very easy to identify, nearly impossible to confuse with anything dangerous (if you have a nose) and very common. Oh and did I mention it tastes great?! The allium (onion) family has evolved its strong flavour and scent as a defensive mechanism to prevent slugs and snails dining out on them. Unfortunately (for the plants anyway) it just so happens that humans have enjoyed the flavour, smell and antibacterial and antioxidant properties for centuries! 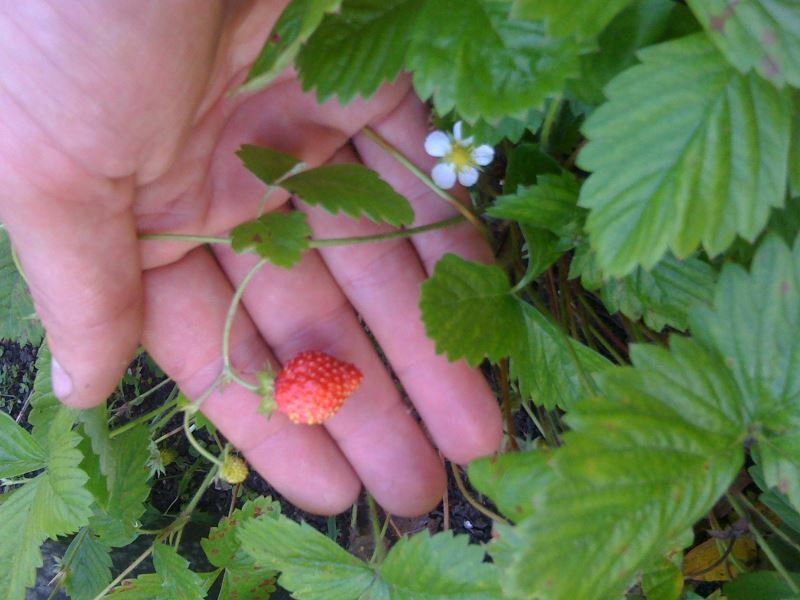 I cannot remember the last time a wild strawberry made it back to the kitchen! These little sweet nectar treats are small – usually less than 15mm across and are much more common than you'd imagine. A low creeping plant that loves warm banks or old walls, the leaves are rounded with serrated edge and there are only 3, at the end of each long stem. Keep your eyes peeled as the little fruits are often hidden under the foliage. So really you are looking for the '3 leaves' configuration as the spotting feature.